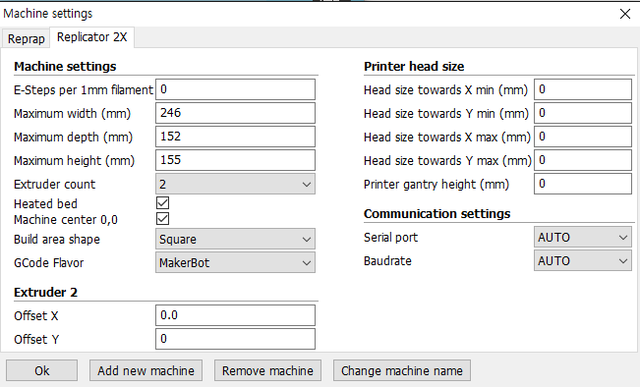 I have a Makerbot Replicator 2x. And I want to print with the Cura. but I need setting data for Replicator 2x. Would someone tell me about that?